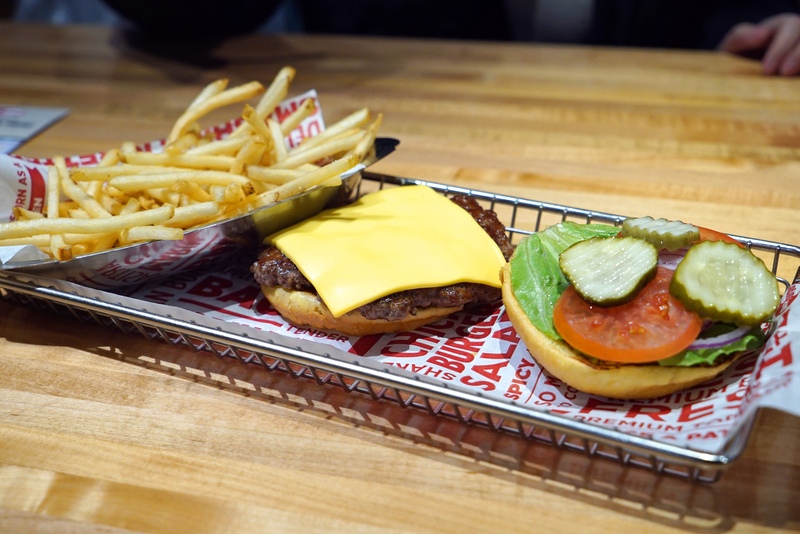 This fast casual joint is on 33rd just west of 5th Avenue, and it packs a wallop of flavor for a burger and fry combo of under $9. 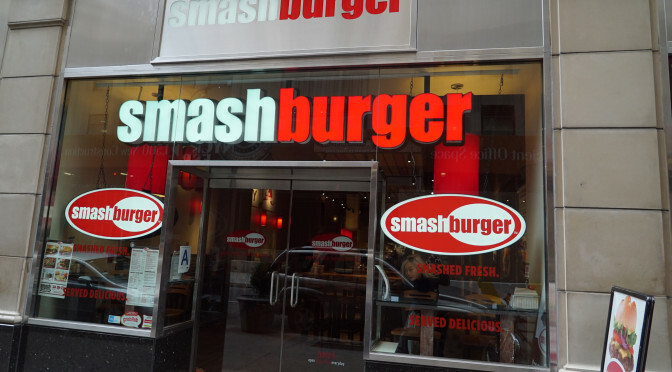 I got the Classic Smash, the 5oz patty (I was on my way to lunch, so I didn’t want to fill up too much). 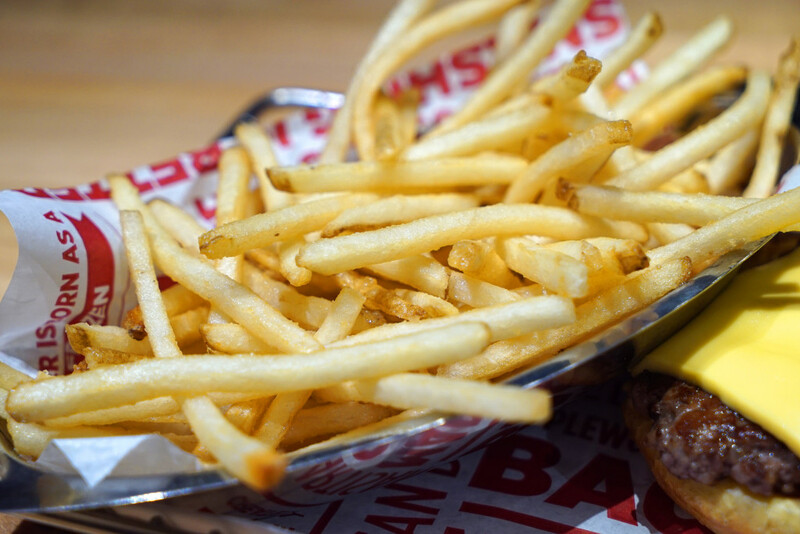 For $1 more you can upgrade to a 7oz patty. Not bad! That’s an egg bun you see there. Very supple, strong and soft at the same time. 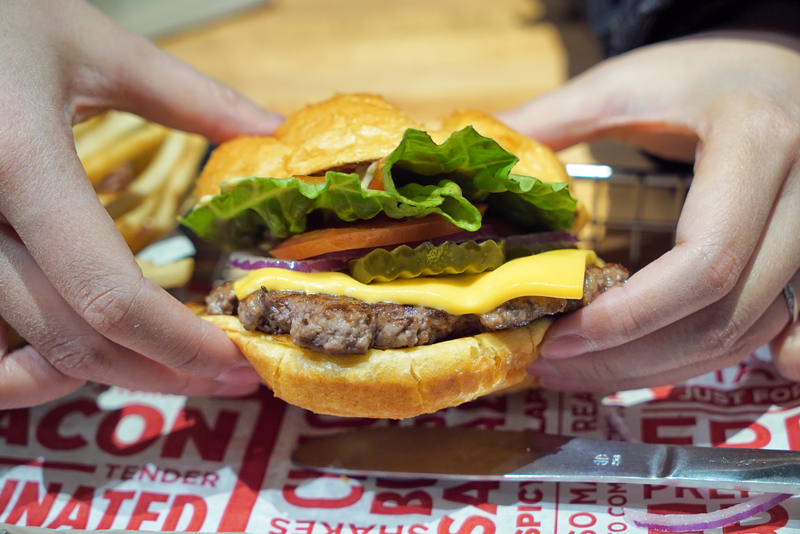 This is a quality burger. The only down was that they put a bit too much mustard and ketchup on the fucker, so it got a little messy. 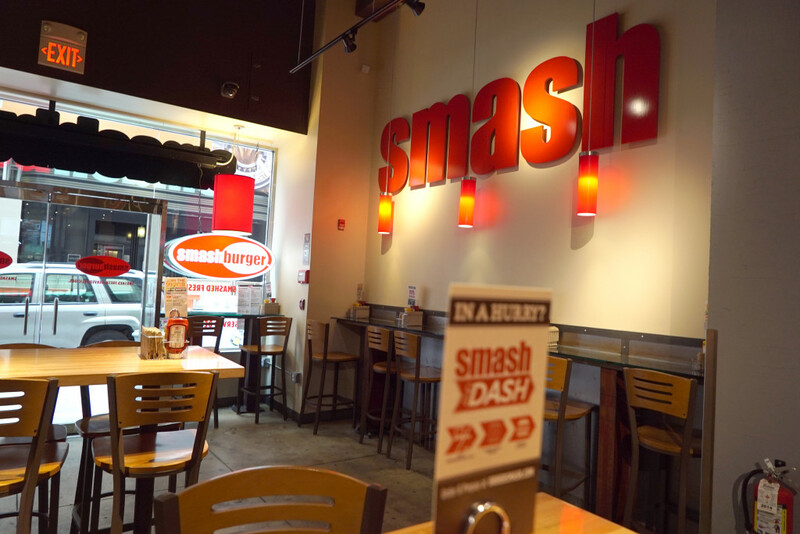 The Smash Sauce alone would have been fine. The fries are incredible. They’re shoestring fuckers, but they are slightly thinner than your typical Mickey D’s girth. This makes for a nice crisp texture without going overboard like them shits at Spotted Pig (which are, essentially, Potato Stix).